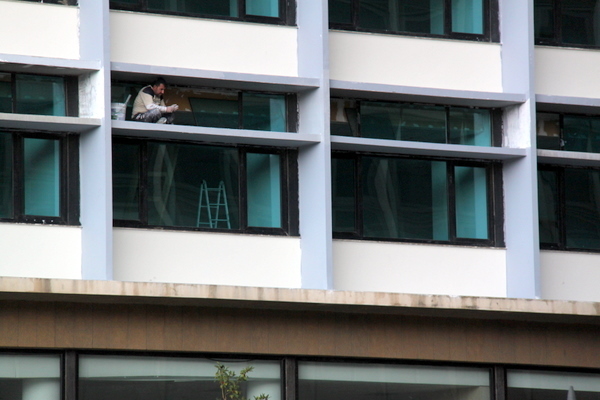 The Lebanese are not particularly scared of heights. They eat, nap and smoke wherever their work takes them. Maybe 15 years of war on your street will do that to you. 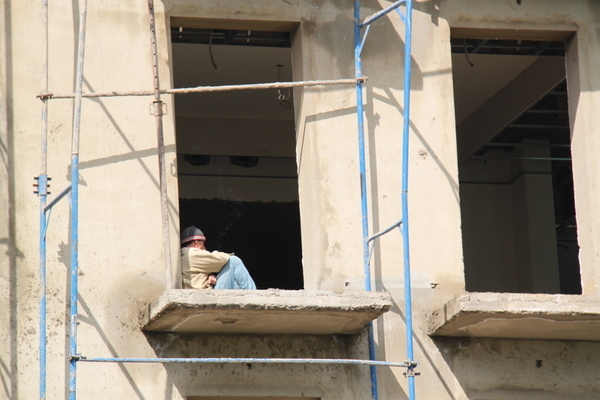 True, the building trade relies heavily on Syrian (and Egyptian) migrant workers. Still when I see the Lebanese clambering up and over their roofs to check the water tanks I think it must be a common trait!